On the show this week, author and podcast host Jimmy Moore. 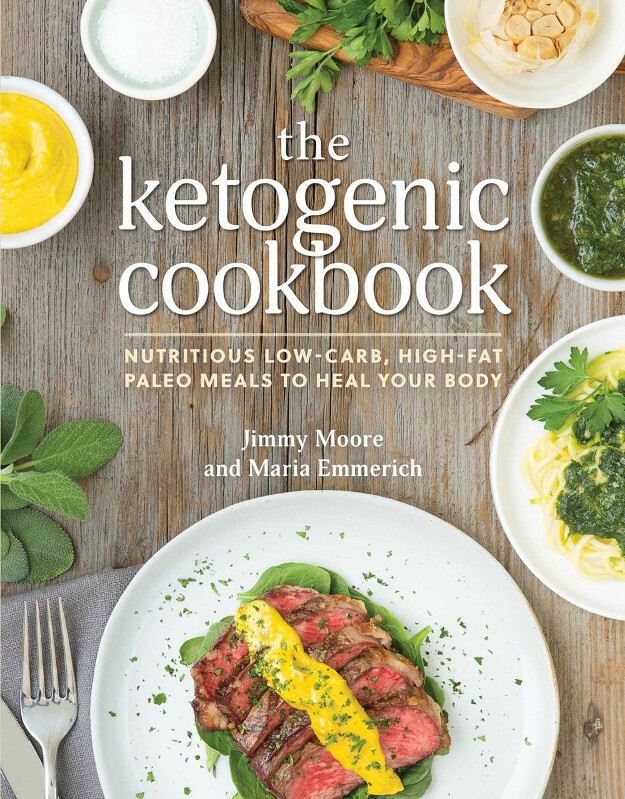 I wanted to get Jimmy on to talk about his new Ketogenic Cookbook. I have a paper copy of the book, and I love it. The pictures are big and beautiful, and there's tons of variety. Who said a ketogenic diet is too restrictive? It's just not true. For those of you that don't already know, I've been working with Jimmy over the past few months in an attempt to him break through a fat-loss plateau. Jimmy has done blood, saliva, urine and stool testing, and I've been helping him understand the results. Jimmy published his results and then broadcast the interview in which I do the interpretation. In this episode, I'm joined by my wife and food scientist Julia to discuss the changes that Jimmy has made to his diet. Julia recommended going dairy-free for a month and introducing a wide variety of non-starchy vegetables. In the interview, I mention the uBiome test.